1. Fact: I love trees, even the old dead ones that don't have leaves anymore. I love to look at all the twists and turns in the branches. My Grandpa tells me that I get that from my Grandma, Joann, he said she loved trees and loved to look at them and would always comment on the trees whenever they would be driving somewhere. The trees kind of remind me of people, they are all unique in their own way. 2. Weird: When I was little I secretly wanted to be a mermaid! I love the movie Peter Pan and I had the Gigantic Golden Book of Peter Pan and I always loved the Mermaids of Mermaid Laguna. 3. Weird: Whenever I eat a candy bar with chocolate I almost always eat all of the chocolate off of the candy bar and then eat the rest. Except for if I'm around someone who doesn't really know me, they might think it's just a little strange--ya know--lol! 5. Weird: I hoard my embellishments. I'm always saving them for just the right project and love to sit and look at them and dream up different designs that I will "someday" do--LOL!! then I think to myself--how Crazy is that-use them already!! I am getting better, but still have a few I just can't part with! 6. 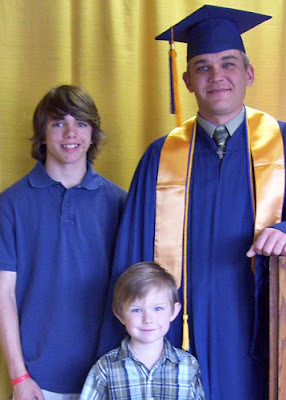 Fact: I have a son and a stepson that both have the same 1st name, Dustin. They also have the same initials all the way through their names, DCB. It can get a little confusing-lol! So when they are together one goes by his first name and the other one goes by his middle name. 7. Weird: When I was younger I was so obsessed with having my penmanship perfect that if I was writing a paper or note or anything for that matter and I messed something up I would crumple it all up and start over. Now that's crazy!! Just wanted to make a quick post (but with lots of pictures! *wink*) of the Mother's Day card that I made for my wonderful Mom and also to show you all of the great flowers that I got from Eric and the boys for Mother's Day. I didn't actually do any stamping on the outside of the card, this is all just paper piecing but I love how it turned out. Love the color combo and the gems! 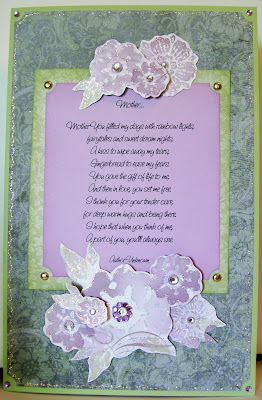 The flowers were cut from a piece of PP (printed paper) and then used pop dots to layer and add dimension. 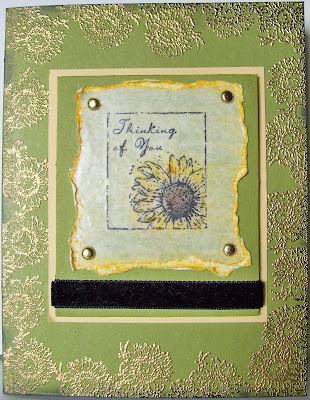 SU-Cardstock, Light Green PP,Floral PP and Gold Brads. 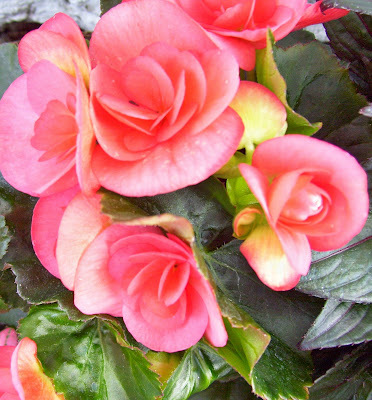 Here are the pictures of all of the beautiful flowers that I got for Mother's Day from Eric and the Boys. I have about half of them planted and will post more pictures when I have all the planting done. As promised here are the cards for this months stamping class. 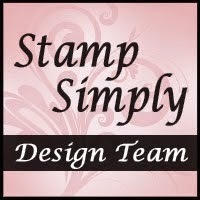 For those of you who don't know I teach stamping classes here in my home twice a month. The classes are all about learning new techniques. 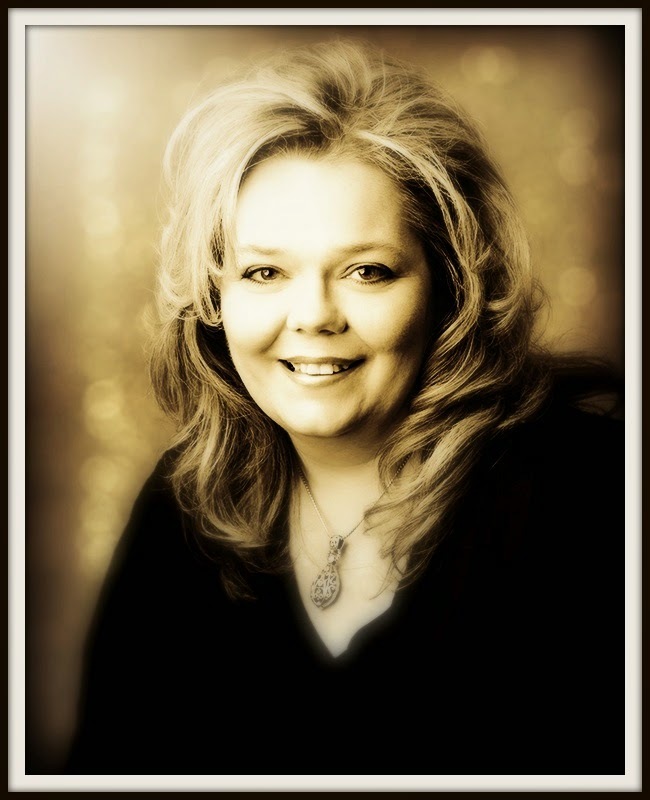 We have a really great group of ladies and just recently we have had some newcomers, so that is really exciting! The 2nd card is trying out a new product. The new product is called Rub-On Magic and it is wonderful!! It is made by Kurio and you get a kit that contains Adhesive Rub-On's for Glitter, four little containers of glitter and a craft stick. 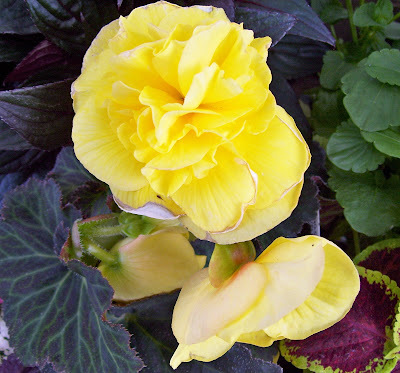 The kits that I bought are floral and have four different sizes and design styles of flowers. They are so easy to use!! 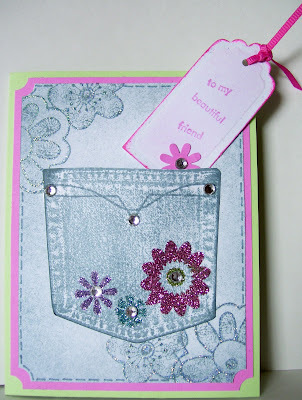 They are very fun and add texture, depth and sparkles to you projects. Stamps-CTMH (pocket), Autumn Leaves (flowers), SU (words). The 3rd card is done using oil pastels. The pastels are very easy to work with and blend very nicely. I love the color combo on this card!! Stamps-All SU stamps. Sorry I haven't posted in a few days! This past week was a busy one! Eric was on vacation this past week and last Sunday I got sick and didn't feel good for about three days. Great start to a vacation, huh? Well at least we didn't have any big plans, just hanging out around here and doing some stuff. 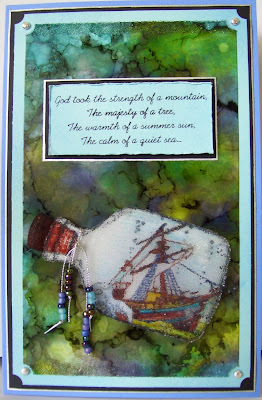 I was glad I started to feel better on Wednesday because I had a stamping class on Thursday. Yikes! I was scrambling trying to get it all done in time!! Luckily I was able to get everything done in time and the class turned out great! The classes can be a lot of work but I do enjoy doing them so much. I have such a great group of ladies and they always make it so much fun!! I will have to get the cards from class posted soon. Friday was the big day!! Eric GRADUATED!!!! I am so, so, so very proud of him!!! He graduated with honors!! 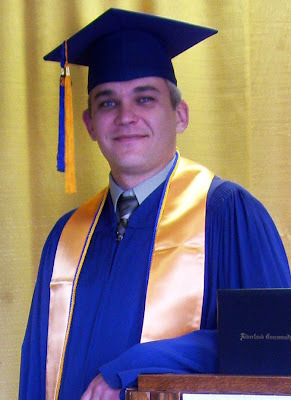 He now has degree in Network Security (computers). 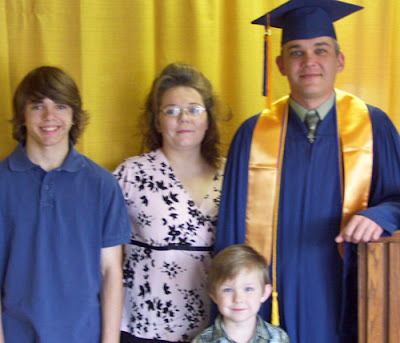 He has talked about taking a year off and then going back to finish out a four year degree. So we will see what the future brings!! Poor guy I felt so bad he ended up with my nasty cold!! Hope he is feeling better soon!! XOXO Sorry the family picture is a bit blurry. :( There was a really nice lady that offered to take a family picture of us but it turned out kind of blurry. I hope all of the Mother's out there in blog-land had a very Happy Mother's Day!! I hope that you were all able to spend time with your family and have a nice and relaxing day and maybe take a little time just for you. I had a wonderful Mother's Day!! We went to church and Eric was sitting with the choir, Dusty and my Dad were ushering and Evan was in the toy room so my Mom and I got to sit by each other. After church we went to a Mother's Day brunch and the food was wonderful!! Then after that we went over to my parents house and spent most of the day over there. It was a very nice and relaxing day. Oh yeah we had root beer floats too! They were sooooo yummy!! I hadn't had one of those in a long time. I will have to take some pictures of my Mother's Day present from Eric and the boys. I got a bunch of different kind of flowers to plant and the best part is Eric already went through the garden and pulled all of the weeds!! So it is all ready for planting!! 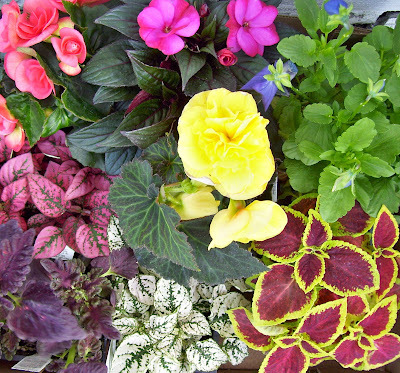 The flowers are all so pretty, so many different kinds and different colors. 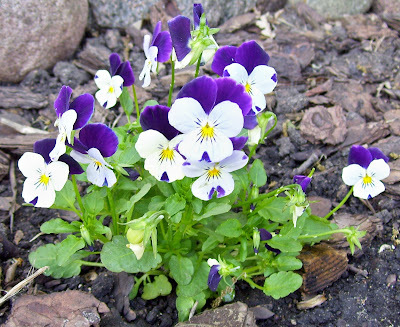 I have already started planting some. 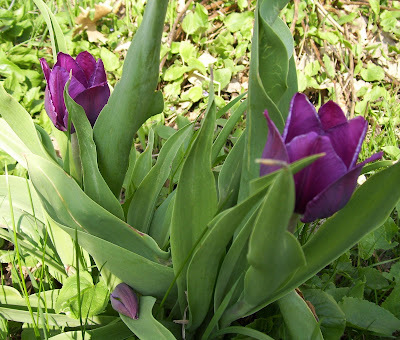 I'm gonna head out and go take some pictures of my flowers and will post them soon. Once again I hope you all had a wonderful Mother's Day!! I know it been a few days since I have posted anything, well actually I guess it's been about a week. Earlier this past week the weather was really nice and we enjoyed some time outside and even got a little bit of yard work done. 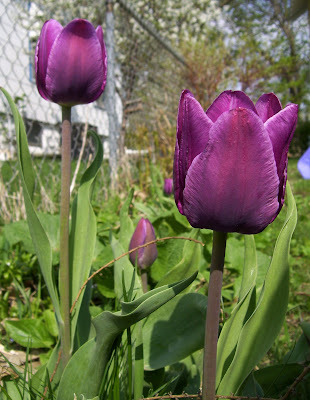 I am so happy this year I actually have tulips!! The past few years the bunnies have gotten to them before they even get a chance to bloom but for some reason this year they left them alone. I still can't believe it!! So I just had to take a couple of pictures to share. The end of the week and the weekend was mostly cloudy and a little bit of rain so I was glad to get a couple pictures of the tulips before the weather got all icky. On Saturday it was my Birthday and I had a wonderful day! It started out with getting up a little early to have a little me time and enjoy a yummy cup of coffee. I found a new creamer and it is soooo yummy!! Chocolate Raspberry by Coffee-mate. If you love chocolate and raspberries this is the creamer for you!! After enjoying the peace and quiet of the early morning it was then time to start waking up the guys. After breakfast Dusty was happy the ground wasn't too damp and headed outside to get in some SK8 boarding time. He is getting so good with all of the jumps and tricks that he can do! Eric and Evan headed out to Home Depot, they had a kids workshop going on out there. He made a little herb garden. It is so cute, it's a wooden holder for little mini pots and then they also gave them the soil pellets and seeds. I will have to keep you updated on his little garden. In the afternoon we went to the LSS and I got some goodies for my BDay! Woo-hoo!! Gotta love that! I got a stamp, some CS, PP, a bunch of bottles of stickles, an ink pad and some embellishments. 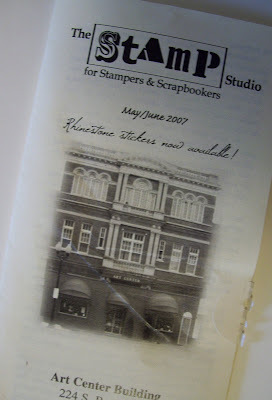 Then while I was there the owner (Karen) of The Stamp Studio asked me if I would be willing to do a stamping class! So I will be teaching a class at The Stamp Studio!! It will be sometime in June, we haven't set an exact date yet but as soon as we do I will let you know. Any of you local ladies that would be interested I would love to see you there. If so give me a call or drop me an email and I will be glad to give you all the info. Later that night we met up with my parents and went to the play. My Mom and Dad bought ticket for all of us to go and see the play. 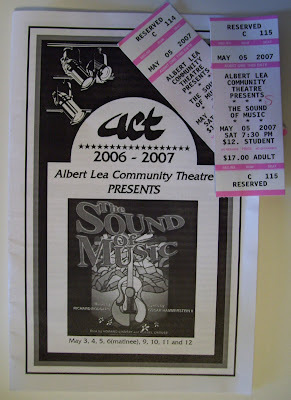 We went to The Sound of Music!! It was awesome!! They put on such a wonderful show and the music and the singing it was all so great!! I really enjoyed it and the boys seemed to really like it too. 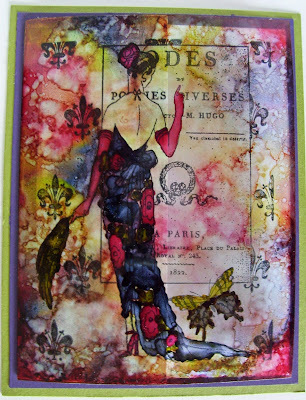 I have been doing a little stamping, but most of the cards are still in bits and pieces and waiting to be put together. But here is one that I just recently did. The PP is from one of the quads from the Take Ten magazine. I can't remember the name of the company, but it was made for Stampington. The PP already had the very light colored small script and the butterfly. 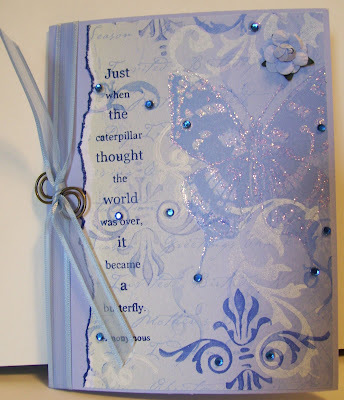 I added the flourish stamps, over stamping in blue and white, the rhinestones, rose, sentiment, stickles, ribbon and hardware. Embellishments: SU-Hardware, Jo-Ann's-Rhinestones, Ranger-Diamond Stickles, WM-Rose and Ribbon. My Dad's birthday was last Monday but because of everyone's schedules we weren't able to get together until this Sunday. We went over to my parents in the afternoon to celebrate. We brought over and angel food cake with strawberries and cool-whip. It was really yummy and hit the spot on a hot day. 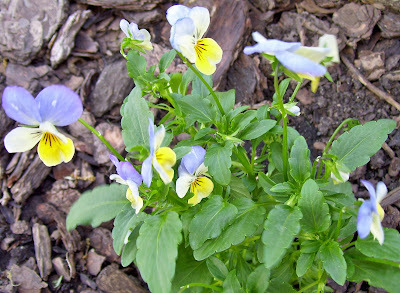 My Dad loves to be in the garden, working up the dirt and planting a wide variety of plants. 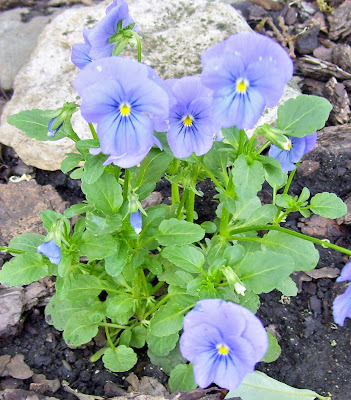 My Dad and Mom both really enjoy gardening and they have a large veggie garden and then two large flower gardens and a few smaller ones in between. It is so beautiful in the summer and I know they put a lot into it!! So for my Dad's BDay we got him a GC for one of the garden centers here in town. I know it will be put to good use! I had a lot of fun making Dad's BDay card! I got to play around with my AI's and make a really neat background. I love using AI's there is just so much you can do with them! I found a really nice poem and wanted to work it into the card. In one of the first few sentences it talks about the quiet of the sea, so I thought I would go with a underwater/ocean theme. 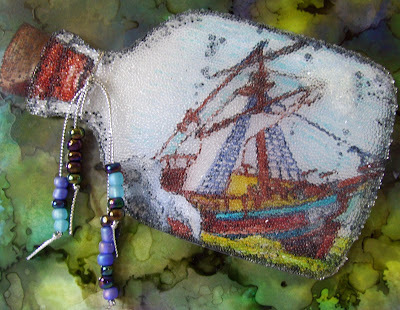 I used transparencies and a bottle stamp, a ship wreck stamp and tiny glass beadz to make the bottle. Then I mounted it to a piece of white CS with the bottle raised in the center to give it some dimension. I was really happy with how it turned out and I think he liked it too! Happy Birthday Dad! !